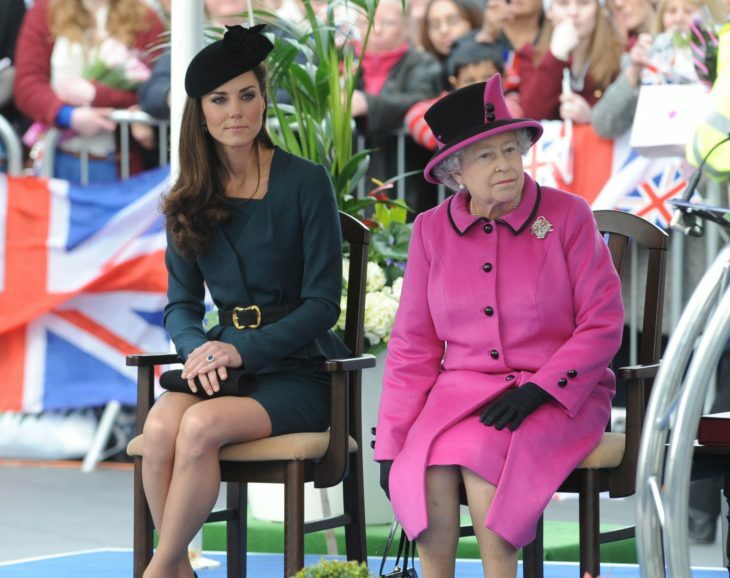 Once again public`s eyes were on the royal family when Kate Middleton had her first solo appearance with the Queen. All looked closely if she is following the numerous royal rules to respect the Queen. When the duchesses are making a public appearance with Queen Elizabeth they had to follow numerous strick royal rules that would say ’I respect for the Queen’. 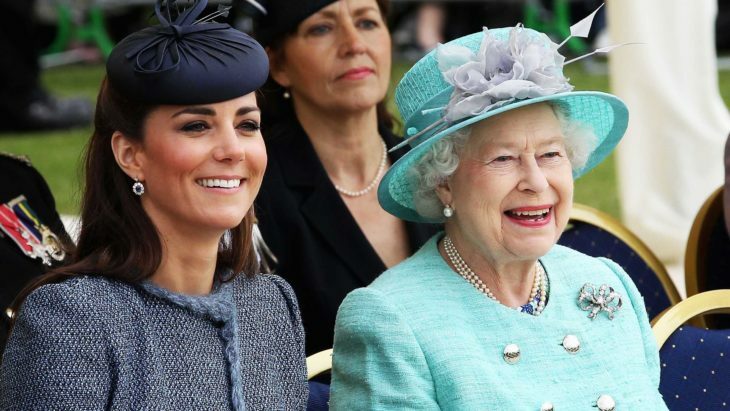 Kate Middleton does not show up with the hat on her head when she has an informal royal event, it is not her style, but when she has to make public a appearance with Queen Elizabeth, she strictly follows the etiquette and wears a hat. ’’Formal day dress always requires a hat and the Queen is rarely seen in public during daytime events without one. 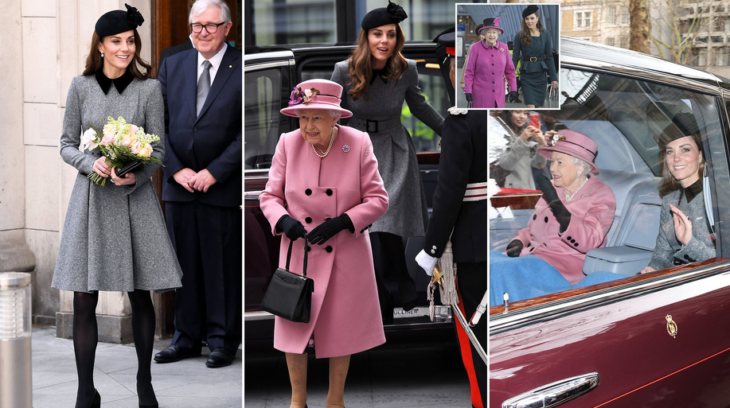 Catherine will undoubtedly have known that a hat was required if she wishes to keep in the royal good books,’’ explained for the Daily Mail William Hanson, etiquette expert. The same day she made a visit to The Foundling Museum, but she takes off the hat. Kate Middleton is full of respect for the Queen when she has to dress for the day time events. In the presence of the Queen, Kate Middleton will always show respect and wear black, modest tights instead of sheer tights. ’’It`s interesting to see that The Duchess of Cambridge wore a more muted mid-grey dress, that at times blended into the surroundings, allowing The Queen to stand out and take the main focus,’’ added William Hanson. When it comes to exit the car, the Queen is the person to leave the car first, even though the Duchess was sitting at the closest door exit. 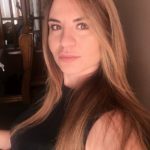 ’’It is standard practice that The Queen exits the car first, although strict protocol actually dictates that the most important person arrives last, but with only 2 seconds difference here there is no breach of protocol of note. I am sure both ladies worked out what was going to happen before it did. As a future queen, she completely understands the role and her current place in the royal pecking order. At today`s engagement in London she followed the royal rule book, as usual, to the letter,’’ said Hanson. Some of the royal rules can be modified occasionally but when you have to make an appearance with the Queen it is smart to play by the book of royal rules, and Kate is doing great.